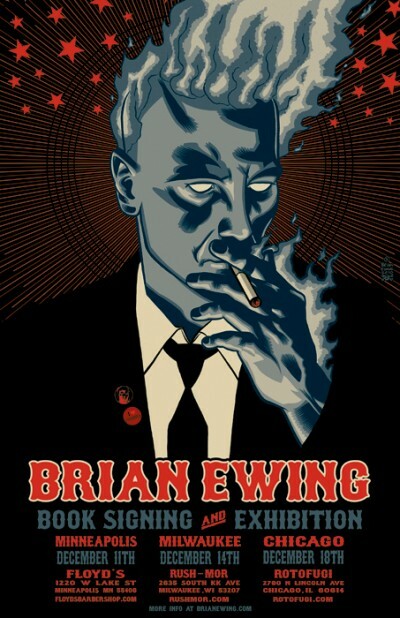 toybot studios: Brian Ewing Midwest Book Tour...!! Rock Poster Artist - Brian Ewing will be hitting the frozen Tundra of the Midwest for a book tour and exhibit December 11th-18th to promote his new book - Don't Hold Your Breath. He will have books and prints available at each location. On December 16th, Ewing will lecture at the American Academy of Art. Talking about his career and how to survive as an illustrator.